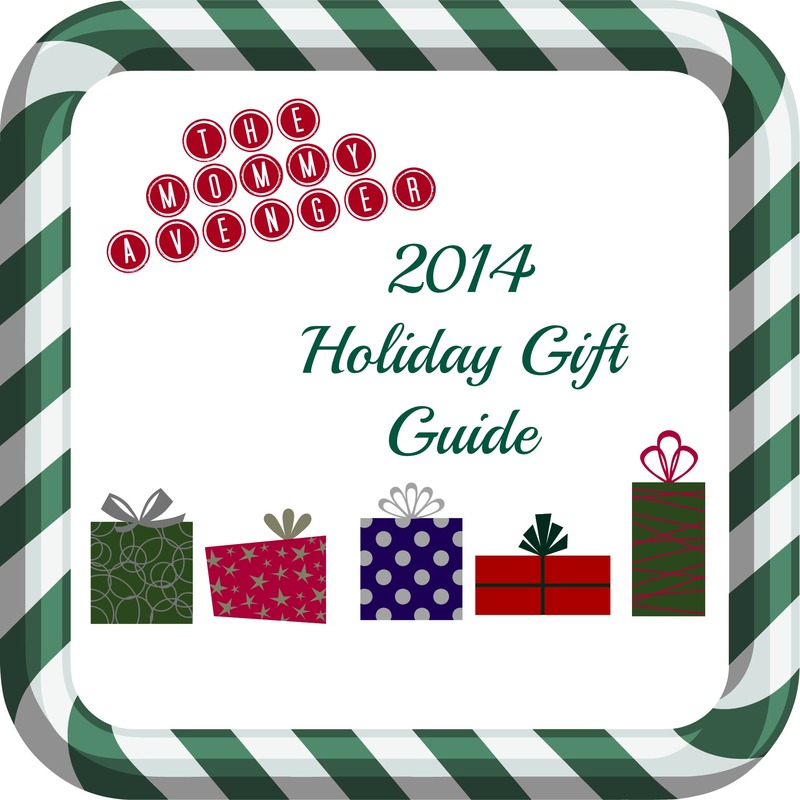 The Mommy Avenger’s got some great gift ideas for both boys and girls this year! 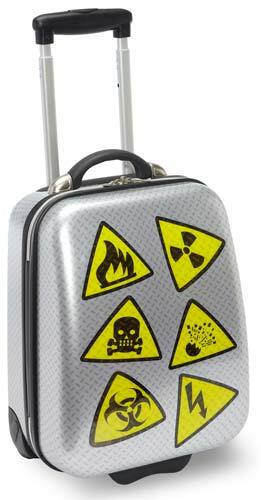 Check out these awesome toys and games! Disney Infinity 2.0. Hands down this is at the top of my kids favorites this year and your child will be asking for it, too! 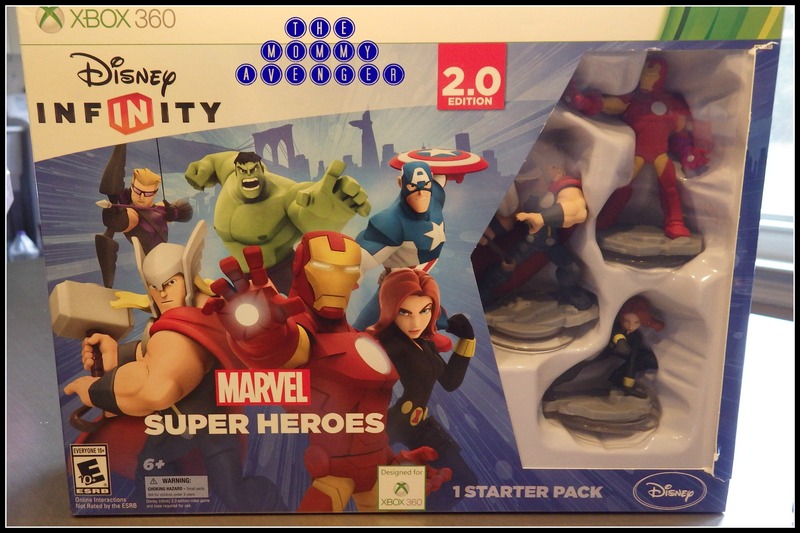 Disney Infinity 2.0 is the must-have game this holiday season. We love the entire line up of Marvel Super Heroes. If you have fans of Captain America, Spider-Man, Guardians of the Galaxy, or the Avengers, this is the best choice! Mutant Mania Everywhere I go, I see these minuscule mutants. What kid doesn’t love a micro sized monster that you can build and then fight? I’ve seen tons of kids playing with these at different events and the reaction is always the same, they go crazy for them! These were all over New York City ComicCon when I went and they are so much fun to play with! 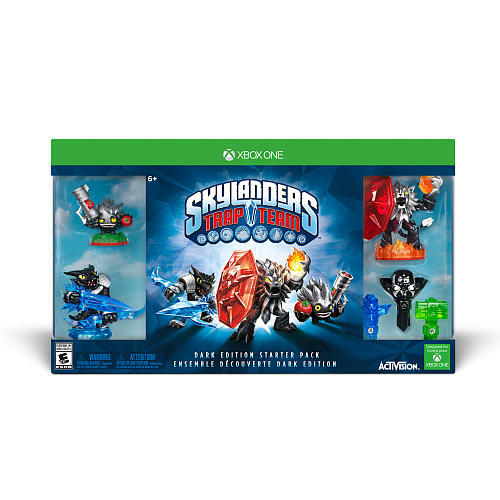 Skylanders Trap Team has been long-awaited in this household and we can tell you that kids will absolutely love it! Fun game play, awesome graphics, and lots to build on and add to, this game will keep you busy with the potential to purchase more elements to unlock even more in the game. 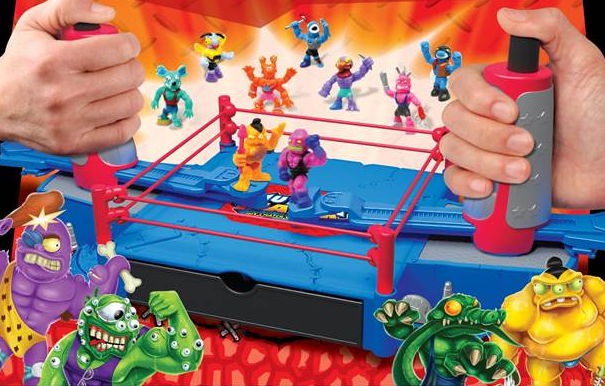 Skylanders fans will be thrilled with this latest installment! BeForever American Girl Dolls American Girl dolls are just special. They aren’t something you purchase for any occasion. The holidays are a great time to surprise your little girl with something spectacular and one of these classic dolls will be just the present that she will adore. We love that the newly updated dolls in the new BeForever line. I absolutely adore this Rebecca Rubin doll! Nickelodeon has teamed up with some great toy brands to bring kids everywhere an awesome assortment of gifts that they will surely love! Fans of Teenage Mutant Ninja Turtles? Check out these fun toys. My go to gifts always include Lego. I think they are great for everyone. It’s great to get time away from screens and focus on creativity. I love the imaginative play that goes hand and hand with Lego sets. It’s even more fun for the kiddos when the sets are favorite characters, such as TMNT! We love this simple and fun Teenage Mutant Ninja Turtle Karai Bike Escape. 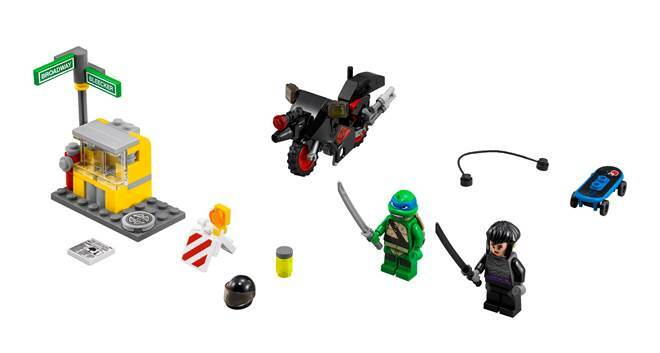 Includes Leonardo and his skateboard,motorbike, mutagen canister and vending machine. A fun set up for fans of the turtles and will springboard many great play sessions from there! Another great set is the newly released Mutation Chamber Unleased. Raphael is my boy’s favorite turtle, so he adores this set which includes Victor and Spider Bytez. 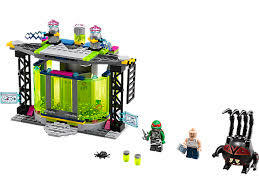 Tons of cool accessories and bright colors are in this set that your kids will love to build! 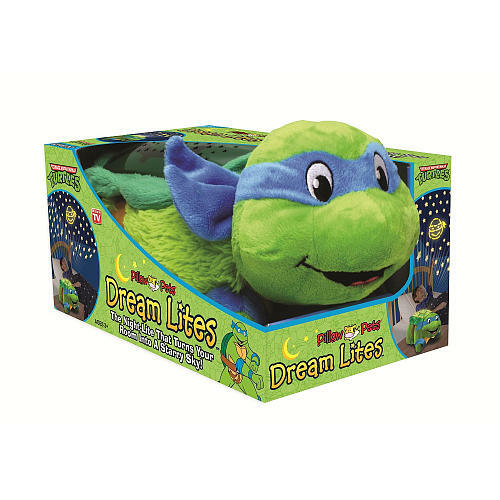 Check out this Pillow Pets Dream Lites Leonardo! Soft and cuddly, it emits a comforting starry light, with a projection of Leo thrown in! Kids can drift off to sleep with the warm glow from their favorite turtle. Parents will like the sleep timer option, which will shut the light projection off in twenty minutes, too. Winter offers many days where it is just too cold to play outside for long. For those days, It’s great to find hands-on activities that keep your kids using their imagination. 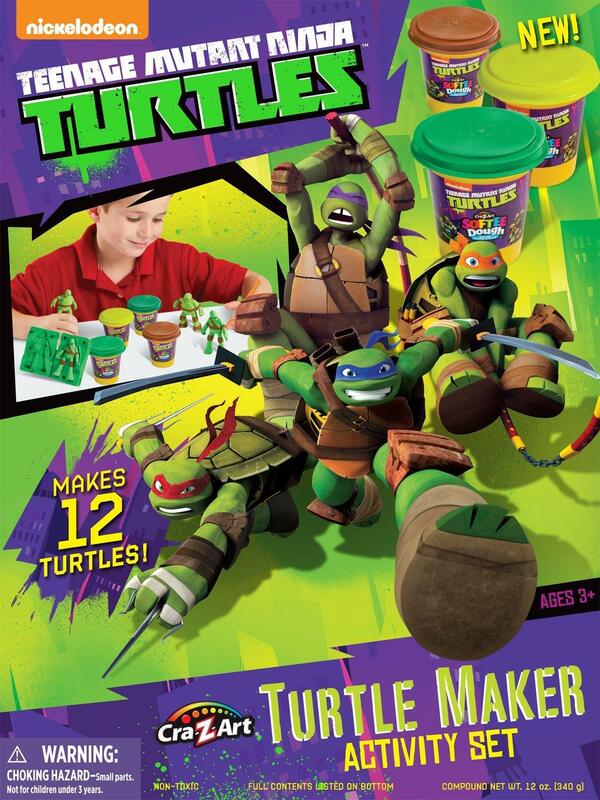 Nickelodeon and Cra-Z-Art came up with an awesome Turtle Maker Activity set that Teenage Mutant Ninja Turtle fans will spend hours enjoying. I mean, what’s not to love about being able to create your own dough TMNT action figures to play with? Nickelodeon didn’t stop with ninja turtles, though, and also teamed up to bring us our favorite yellow friend that lives in a pineapple under the sea–Spongebob Squarepants! We love the MegaBlock Spongebob Squarepants sets that are out! 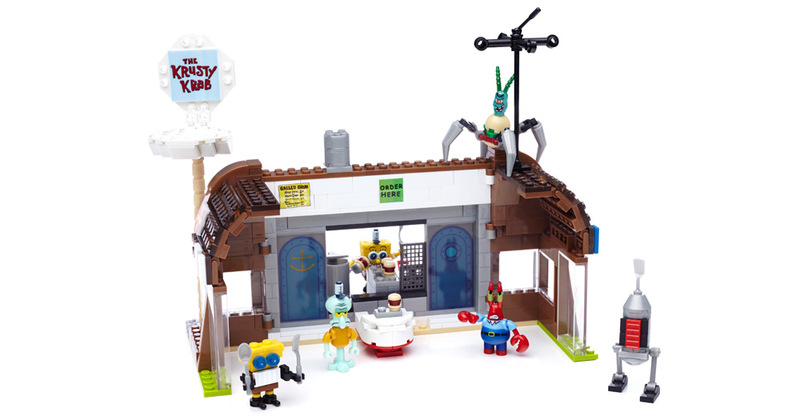 Check out this fun Krusty Krab Attack complete with working launchers. Build and act out your favorite Spongebob Squarepants episodes with micro action figures. Your kids will adore this set! You can also purchase separate figures, too! DohVinci For those who are crafty, both boys and girls alike, will like DohVinci. 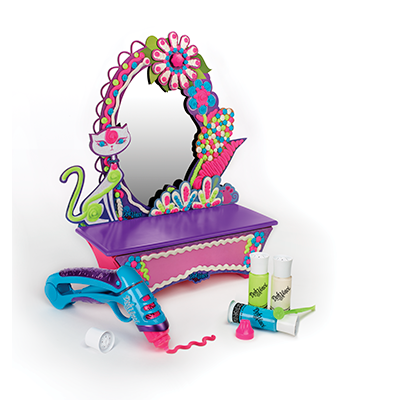 Although a little more geared towards girls, with gift sets like this cute vanity, this toy is hot and lots of fun. Simply load the cartridges into the gun (sort of like a glue gun) you can easily write and style with this innovative and fun product. Great way to step away from a screen and have a good time, especially with upcoming bad weather. Vivitar’s Camelio Let’s face it, everything is digital. But electronics can be really expensive and if your little one wants to play on a tablet, the thought of spending hundreds of dollars is not very appealing. But techy fun doesn’t have to come at a high cost! 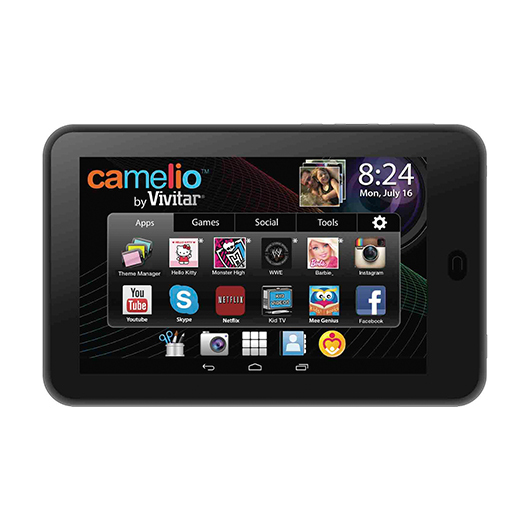 Enter Camelio, the family friendly and budget-friendly tablet that will have kids quite excited this holiday season. You can even customize the tablet with personality packs. We love the Batman one, because really, it’s Batman. Great camera, wi-fi, games and apps make this the perfect gift for kids. 3D Light FX My kids love these awesome character lights in their room. Have a favorite super hero? Chances are good that 3D Light FX will have yours. We love the Spider-Man one. 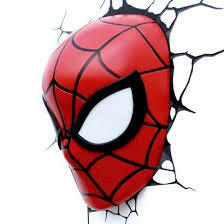 Simply find a spot on your wall, apply the webbed decal (so easy and removable!) and place the light on the decal. Wireless and runs on batteries, this is the coolest nightlight ever! Little Live Pets Kids begging you for a pet this holiday season? Don’t want the commitment and the work that goes along with it? No problem! 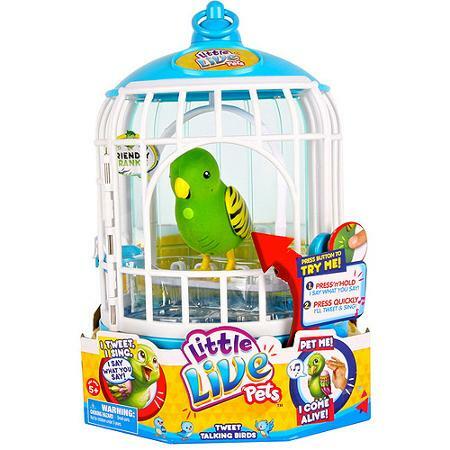 Pick up Little Live Pets and your kids will be happy as a lark. Why? These toys are just like the real thing, minus the work. This bird responds to touch, sings, tweets, and the more you play with it, the happier it becomes. Eddie Bauer Downlight Hoodies While it may not seem like the most glamorous gift, keeping warm is essential for winter fun and who doesn’t want their kids outside experiencing the precious moments that winter has to offer–snowman making, snow angels, building forts and more? Eddie Bauer has the perfect jackets for layering for kids this winter that will keep them nice and toasty warm, without weighing them down. I know my kids hate big bulky coats, so they adore the lightweight feel of the Downlight hoodie. 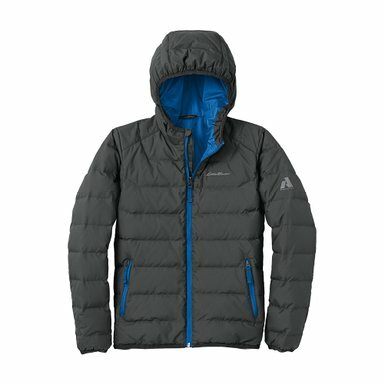 It’s the perfect jacket to get them through every day until it gets beyond freezing and then it becomes an awesome layer to build on. I love the StormRepel technology of the nylon shell that allows moisture to bead off of the material and not soak it. Because when you are soaking wet, playing in the cold is no longer fun! These are available in lots of fun colors for both boys and girls. Under Armour Sunglasses If your kids like living life-like the adventure it is, you will want to equip them with the proper eye gear. Pick a great pair of Under Armour sunglasses to keep their eyes protected as they are playing outside, whether it be snowing or sunny. My kids love them! Under Armour is super popular for a reason, they have a fantastic sporty and are known for their high quality products. I like knowing my kids eyes are protected from sun and they like that they look so cool. My kids love the UA Power Polarized sunglasses and the UA Dynamo and UA Nitro sunglasses especially made for kids. All of them have a unique look for each individual child’s tastes, but all get the job done. Since they all look so incredible, kids want to be wearing them! Under Armour sunglasses make a great gift for every member of the family–kids, teens, moms and dads! My Comic Book from Lulu Jr Do your kids like to draw and create their own stories? This is the coolest gift! 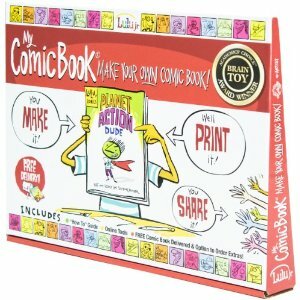 Everything you need to create your very own comic book is in this kit. Pencil, markers, eraser and a comic book layout with blank pages just waiting for your imagination to go wild. You supply the creativity and then return the pages you made back to the company in the prepaid envelope. They will professionally publish your comic book and return it to you! You can even order extra copies to send to family members! Your kids will love seeing their very own comic book with an about the author page featuring themselves!